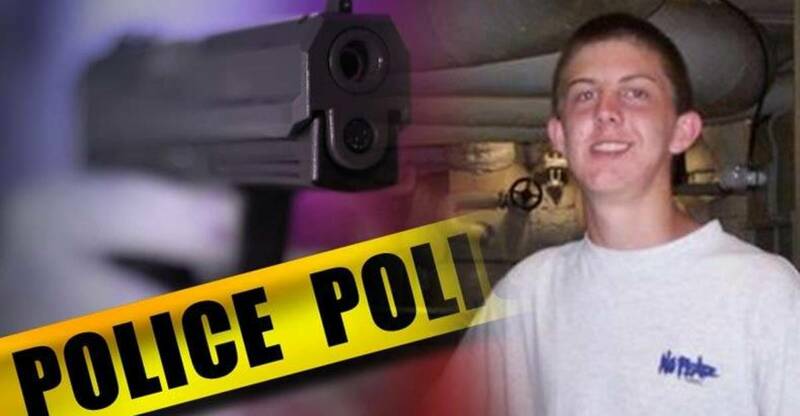 While investigators refuse to release the videos capturing a police shooting that led to the death of 19-year-old Zachary Hammond, a witness has come forward who reportedly saw officers high-fiving Hammond’s corpse after the incident and planting an object beneath his body. As the Justice Department launches a civil rights investigation into why police killed a teenager during a misdemeanor marijuana bust, the police chief’s son, who is also a cop, has pled guilty to stealing hydrocodone pills from a detention center and misconduct in office. Although Seneca Police Chief John Covington has accused Hammond of causing his own death, Covington’s son merely received probation with time served. On July 26, Seneca Police Lt. Mark Tiller ran towards Zachary Hammond’s car with his gun drawn as Hammond’s date, Tori Morton, was allegedly selling a few grams of marijuana to an undercover cop. According to Chief Covington, Hammond drove toward Lt. Tiller in an attempt to murder him. Fearing for his life, Tiller shot Hammond twice at point blank range killing him. But according to witness statements and Hammond’s autopsy, Hammond was not attempting to run down Tiller in the moments before the shooting. After reviewing the incident, the Hammond family’s attorney, Eric Bland, asserts that Hammond was shifting his car into park when someone shouted that Hammond had a gun. Hammond’s vehicle wasn’t moving when Lt. Tiller’s bullets tore into his body. Although Chief Covington insisted that Hammond was not shot from behind, an autopsy report conducted by medical examiner James Fulcher, M.D., revealed that two bullets struck Hammond in the back of his left shoulder and his left side. According to The Post and Courier, FOX Carolina 21 in Greenville obtained a letter from Hammond’s attorney to the FBI informing the Bureau that a witness has come forward who reported seeing two disturbing instances immediately after the shooting. The witness asserts that an officer pulled Hammond’s body out of the car before walking over to a patrol car and pulling something out of the trunk. After returning to Hammond’s body, the officer allegedly rolled it on the side and placed an object beneath Hammond’s corpse. Although Hammond was unarmed at the time of his death, police claim that a white powdery substance was found at the scene. The witness also recalled seeing Seneca police officers lifting Hammond’s dead hand and high-fiving Hammond after the shooting. On Wednesday, Hammond’s parents called on prosecutors and State Law Enforcement Division (SLED) investigators to release the police dash cam videos of their son’s death. A few hours later, the U.S. Department of Justice announced that the FBI’s Columbia field office and U.S. Attorney would open a civil rights investigation that will run parallel to the state’s investigation. But on Friday, SLED agents denied a formal request by The Post and Courier to release the videos. The newspaper has submitted a request for the dash cam footage under the state’s Freedom of Information Act (FOIA). After pleading guilty to theft of a controlled substance and misconduct in office, Chief Covington’s son, former Seneca Reserve Police Officer Adam Covington, recently received two years of probation with time served after stealing 30 hydrocodone pills from the Oconee County Detention Center while on duty. For the drug theft charge, Adam initially received a 3 year suspended sentence that was dropped down to two years probation. For the misconduct charge, he was sentenced to a year in prison with credit of time served. Suppressing the videos of Hammond’s death only diminishes the credibility of Chief Covington’s police department. By ignoring empirical evidence and witness statements, Chief Covington blindly believes that Hammond deserved to die over a minor marijuana bust. As Chief Covington’s son receives probation for stealing drugs, a message has been sent to other corrupt cops that their crimes will be met with equally lenient sentences.